Canine arthritis is a major ailments seen in the middle aged to older dogs. 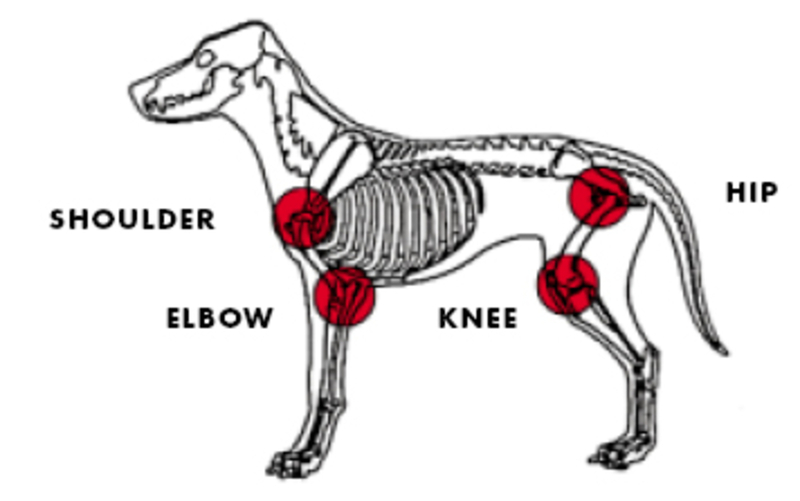 Most common causes of canine arthritis include, cartilage deficits, previous injuries such as anterior cruciate ligament, poor nutrition, trauma after a car accident, penetration of joint by a sharp object, or bite, infection in the joint, stresses on the joint, disruption of cartilage, bone, synovial membranes, and ligaments that support a joint, bacteria spread through the blood supply, fungus, and tick-borne disease. Symptoms of canine arthritis include, lameness and stiffness, slow gait, difficulty in rising from rest, lethargy and tendency to sleep more, urinating indoors, muscle atrophy, swelling, pain, licking of joints, gain or loss of weight, nervous or aggressive behavior, and reluctance to jumping. Factors such as high adoption of pets by common people, increasing expenditure by consumers on veterinary care, and increasing number of approvals for veterinary medicines are expected to drive growth of the canine arthritis market. For instance, in March 2016, USFDA approved Galliprant — an animal drug for osteoarthritis in dogs. Galliprant is a prostaglandin E2 (PGE2) EP4 receptor antagonist, a non-cyclooxygenase inhibiting, non-steroidal anti-inflammatory drug (NSAID) and is intended to control pain and inflammation associated with osteoarthritis in dogs. The application for Galliprant was sponsored by Aratana Therapeutics. Furthermore, increasing initiatives by professional business services to offer support for pet care is expected to propel the market growth. For instance, in January 2019, the International Boarding & Pet Services Association (IBPSA) appointed one Chief Operating Officer along with three new advisory boards to bring an additional and invaluable experiences of pet care business to IBPSA and its members. On the basis of region, the global canine arthritis market is segmented into North America, Latin America, Europe, Asia Pacific, Middle East, and Africa. North America is expected witness significant growth in the global canine arthritis market, owing to presence of major players and new product launches in the region. For instance, in July 2018, CBD DOG Health — a pet wellness company — launched three new products containing healing cannabinoids at the SuperZoo Pet Industry Trade Show in Las Vegas, U.S. The three new products include, lines of CBD Oils, CBD Topicals, and CBD Treats. CBD Oil offers products namely CALM, EASE, and HEAL varieties. It contains full spectrum hemp oil and CBD. EASE Oil is a proprietary blend of curcumin-rich Turmeric and Frankincense. It offers relief from aches and pains, inflammation, joint pain, arthritis, and intestinal disorders in pets. Moreover, increasing adoption of pets in North America is also expected to boost growth of the canine arthritis market. For instance, in 2017-2018, National Pet Owners Survey was conducted by Ipsos, Inc., and according to the survey, pet ownership in the U.S. households stands at 68% as compared to 48% in 2016. Key players operating in the global canine arthritis market include, Elanco (Eli Lilly and Company), Boehringer Ingelheim, Zoetis Inc., Vetoquinol S.A., Bayer AG, Aratana Therapeutics Inc., Norbrook Laboratories Limited, VetStem Biopharma, and Dechra Pharmaceuticals Plc., and CBD DOG Health.